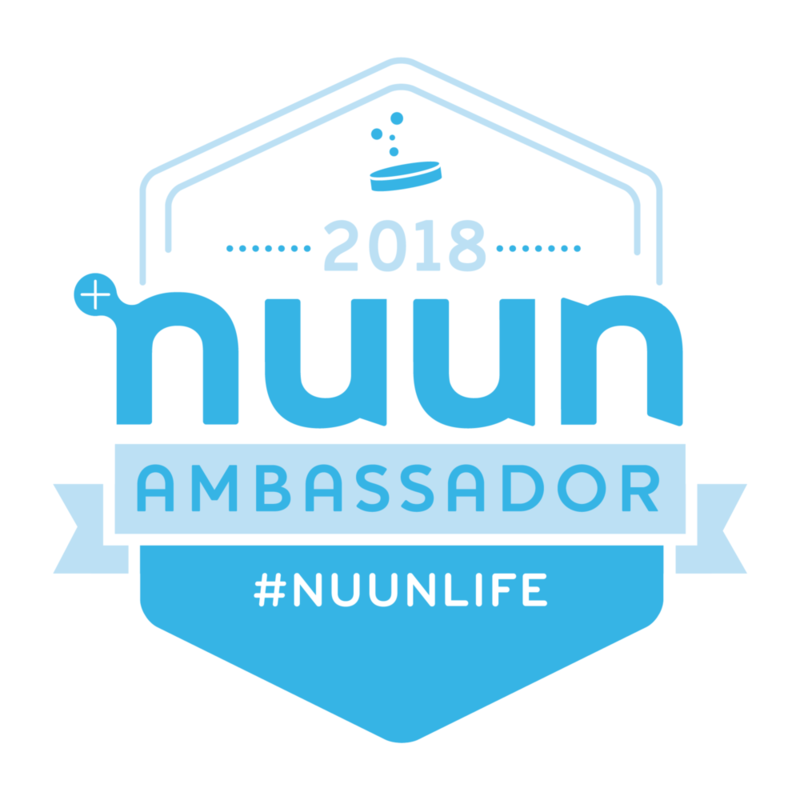 I have been using Nuun Active Hydration for all my endurance training and marathons and had the opportunity to try out their new product line, Nuun Energy. Nuun Energy is available in three popular flavors adapted from Nuun Active Hydration - Wild Berry, Lemon Lime and Cherry Limeade. I decided to try the Cherry Limeade, and I will have to say it is my new favorite flavor! The nice thing about Nuun, you can decide how strong you want the flavor by adjusting the amount of water you add to each tablet. I really enjoy the light flavor without the heavy sugar taste you get from most energy drinks because Nuun contains zero added sugars. The difference between Nuun Active Hydration and Nuun Energy is the addition of B vitamins for energy metabolism and Caffeine for increased endurance output and cognition. If you don’t want the added vitamins and caffeine, then stick with the Nuun Active Hydration. Each effervescent tablet contains less than 12 calories and is available in a portable tube. When racing, I prefer to put the tablets in individual mini zip-top bags so I can stash them in my pocket. I carry a water bottle with me, so I can pop one tablet in whenever I need a little extra boost. When running marathons or long training runs I prefer to hydrate with Nuun Active Hydration, and I fuel with Huma Chia Energy Gels. In using both products together, I can stay hydrated and fueled to go the full 26.2 miles without crashing. I prefer to use Nuun Energy for recovery after a hard training run: tempo or intervals. Often, I feel depleted after a hard workout, and Nuun Energy helps me recover and rehydrate so I can go on with my day. If I need a quick “pick-me-up” in the afternoon I grab Nuun Energy. It is nice to find a product that can energize you without a caffeine buzz! This product by Nunn contains the same ingredients as the original Nunn Hydration drink, but adds caffeine and an additional blend of five B vitamins - riboflavin, niacin, pyridoxine, cobalamin and pantothenic acid. The product claims that the addition of caffeine and the B vitamins can improve sport performance. (1) It stimulates our central nervous system, which gives us that "awake" feeling. (2) It aids in circulating blood and helping our heart pump. (3) It stimulates calcium to be released from the muscles. This relates to improved muscle contraction. (4) It increases free fatty acids in the blood (this spares muscle glycogen earlier in an endurance activity to be used as fuel). The other role that caffeine might have is that it may affect the brain and positively change the athlete's perception of fatigue and pain. The human body cannot manufacture vitamins or minerals, so they must be consumed through the foods we eat. There is no solid scientific evidence that proves vitamins and minerals enhance performance, build muscle, or increase strength in healthy, active people. Some studies have shown that an athlete that has a vitamin deficient can benefit from supplementation to correct the deficiency, which in turn leads to better performance. It's pretty difficult to become deficient in B vitamins if you are eating a carbohydrate-rich diet (what athletes should be doing) like breads, beans, cereals, pastas, dairy products, and vegetables. B vitamins are water-soluble, so any extra consumed does not store in the body, but will be excreted out in the urine. I think the addition of caffeine in the Nunn product is really the energy booster, not the B vitamins. If you are using this product for a long run (endurance event), the need for additional carbohydrates is still necessary. I personally would stick with the Nuun Active Hydration over the Nuun Energy and utilize some sort of carbohydrate source (i.e. Huma gel, Gu, etc. ), which contains a small dose of caffeine.